I remember when I was about 11 years old in primary school I used to sneak into my mother’s room and check out her collection of perfumes and steal some. By steal, I mean I choose what I like and I sprayed it all over me. My favourite fragrances to steal from my mother’s dressing table were the ones from Estee Lauder. Of course she would know right after I sprayed them on me because of the smell that is all so familiar to her. One day, she gave me Pleasures from Estee Lauder as a birthday gift and I loved it very much. So, when I was invited to the launch of Estee Lauder’s new fragrance I was so excited to go. Reading that makes me feel like I want to be a Modern Muse! It’s been 10 years since the last launch of a major fragrance by Estee Lauder so I looked forward to smell the new fragrance. Unfortunately, the launch fell on a day when I was in a country far away from Malaysia. Last Friday. So, I couldn’t attend the event. However, surprise surprise : ) I managed to bag one bottle of the new fragrance as soon as I was back in Kuala Lumpur. Yay. First of all, I love the sleek and modern packaging. It was presented in a lovely blush pink paperbag with deep navy blue ribbons. The pink gives a soft and feminine aura while the navy blue gives an aura of strength and confidence. Dramatic and classy. That’s how I feel about it. Packaging is very important don’t you think? When I opened the same coloured carton in the paper bag I found a card in it. 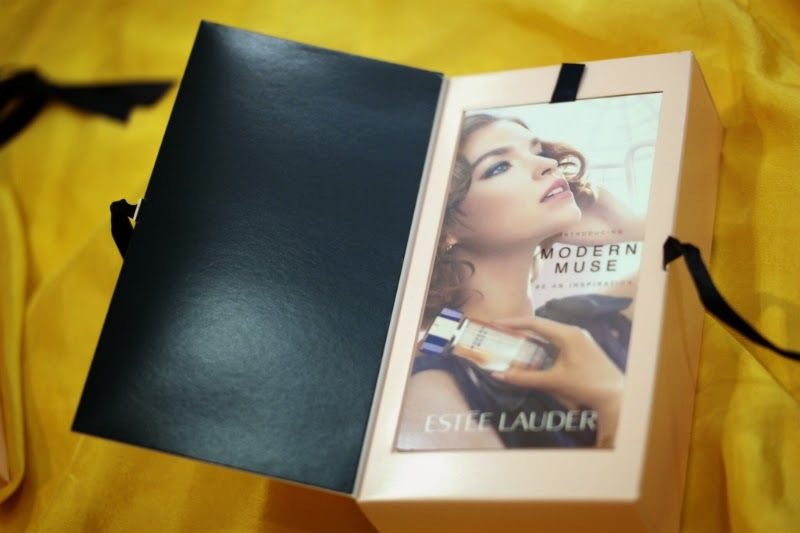 To my excitement, I saw Natalia Vodianova as the face on the note inside the box! I have loved her since the first time I saw her many, many years ago. She’s beautiful. Here’s the gorgeous campaign picture. I just love it so much! It was shot at Guggenheim museum. She looks a little different in the awesome and captivating campaign video which you can see in the Modern Muse website www.esteelauder.my/modernmuse. I googled about the face of the Modern Muse fragrance. It is not Natalia Vodianova! My bad! She really looks like her. Especially from the campaign photo! Anyways, do watch it! I love the video. The face and spokesmodel of the new fragrance is actually the model, Arizona Muse. She is so gorgeous! She looks smart and super confident in the video. Glad I wasn’t the only one who thinks that she resembles Natalia. I’m not alone in this because Anna Wintour thinks so too! "When I look at Arizona, I see shadows of Linda Evangelista and Natalia Vodianova, but most of all I see her, a gorgeous, smart, grown-up. And how could anyone resist someone with that name?". Now we know that Estée Lauder couldn't. So, 25-year old supermodel and mother to her 4-year old son Nikko, Arizona Muse is the face of Estée Lauder's new fragrance Modern Muse. So, anyways, after being impressed with the packaging, I quickly tried the fragrance on and sprayed it on my right wrist and gently warm them on my left wrist. That is how you usually do it too right? Verdict? Not like something I’ve ever smelt before. It is unique and it smells lovely. The husband loved it too. Now, that’s important! It’s a strong scent, musky, yet soft and it does makes me feel stronger and confident. Because the strong scent is also really long-lasting. The first time I wore it 2 days ago, it lasted throughout the whole day. “Modern Muse, a new fragrance that is inspired by the intriguing duality of today’s woman and complements every aspect of her dynamic life. This fragrance captures the essence of a Modern Muse with a Lush Floral Woody scent, a true statement in modern luxury that conveys confidence, style and creativity with a modern, youthful attitude. Here’s me trying to pose with my bottle of Modern Muse. I’m wearing my new satin silk scarf from dUCkscarves. 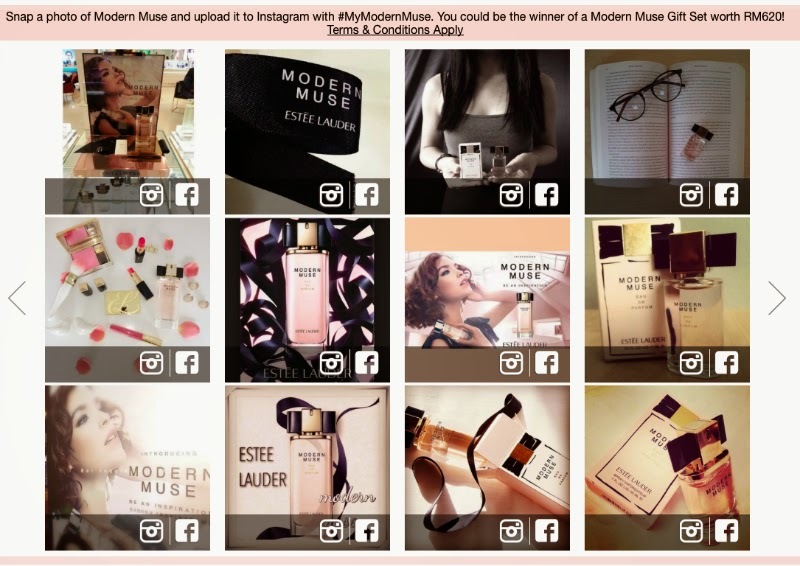 Interested in winning a Modern Muse gift set worth RM620? You can join the Instagram #mymodernmuse contest by hashtagging your pictures of your Modern Muse! Anyways, I have some good news to you fragrance lovers. I will also be giving away 5 bottles of Modern Muse. Go to the mall and go check it out! Smell the perfume for yourself and you might just win this perfume for yourself!! Good luck everyone! modern muse makes me feel confident,fresh & sweet..it is so me..
2. I never own a bottle of Estee Lauder's fragrance before and would like to have a try. 3. Because of you, your product review about this Modern Muse makes me curious about this fragrance. 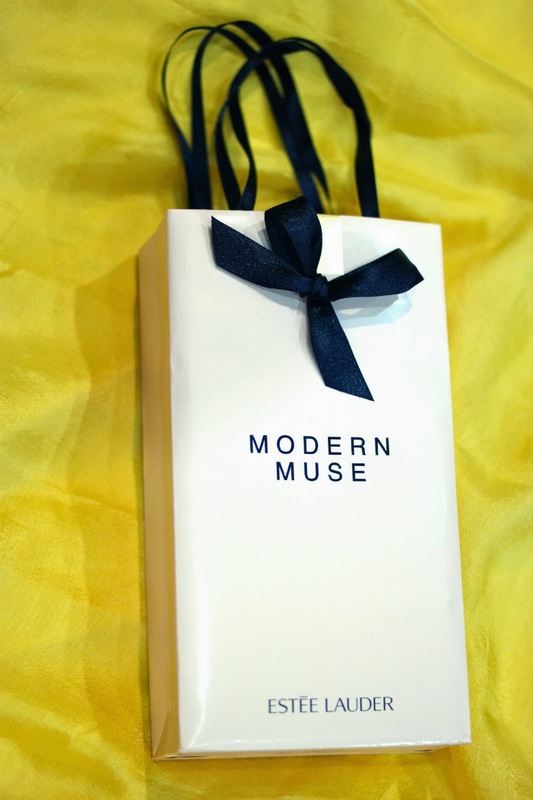 I would love to have a bottle of Modern Muse because it would be a great gift for myself as my birthday has just passed a week ago. Besides that, I really love the idea of being a modern muse and I hope If I get a chance to win this fragrance, it will be a daily reminder to inspire myself to stay independent and confident in every way! I hope I have a chance to own this beautiful modern muse. Thanks Rnadia and Estée Lauder hehehe. I'd like to have a bottle of modern muse because i always wanted to smelled classy and recognized by people around me with that classy fragrance. I rarely got to own branded expensive perfumes since its way beyond my ability to purchase such perfumes.its never been my necessity, but to buy one is always been in my dreams.so yea, it can only be my 'wants'. :) So by all means, perhaps i could give it a try here, in case my luck to win a bottle of Estèe Lauder modern muse is with me. And i definitely gonna spread the words to all my colleagues and relatives to smell good with the perfume i could possibly won here. Hi Nadia. Can I know where can I buy the duckscarves? 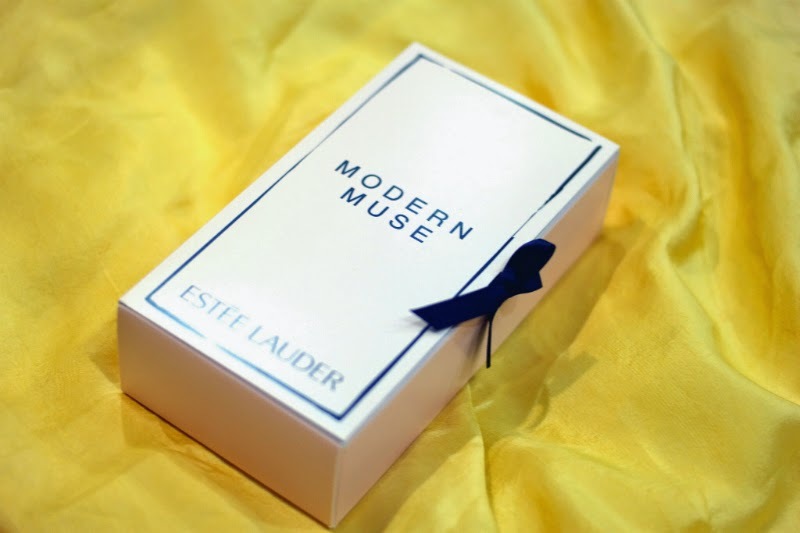 I deserve to win a bottle of Estee Lauder's Modern Muse due to the fact that it express the duality of the composition. A combination scent of sparkling jasmine which symbolizes femininity and sleek wood which represent strength. Modern Muse is an ideal fit for me as it represents my personality of independence & self-confidence. It's sophisticated blend has the ability to set my mood and my spirit at that moment. It's that scent that can really change how I'm feeling and makes me feel great about myself. I want to inspire other women to be just as strong and confident about themselves and I strongly believe with Estee Lauder's Modern Muse, it would greatly provide a huge impact to all women out there.